Rather than answer the question "I have a bruised nail, now what do I do?" EPITHELIUMTACT 02 protectors help to avoid them. Whether a bruised nail is likely to appear due to repetitive shocks against footwear (hiking, trail running, running races, etc.) or the result from trauma caused by another player (football, rugby, etc. ), EPITACT® SPORT protectors are effective. They can also be used when the nail is already bruised. - PREVENTIVE ACTION: EPITHELIUMTACT 02 Toe Caps are made of 1 mm thick, ultra-resistant silicone gel in which the viscoelastic properties are close to the skin. The toe caps will distribute the pressure and absorb the micro-shocks through dissipation of energy in the gel thus preventing any risk of toenail bruising or blistering. - ANTI-PAIN ACTION: EPITHELIUMTACT 02 Toe Caps relieve pain, making it possible to participate in sports and remain competitive. 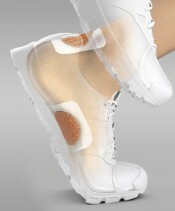 ERGONOMICS: Being unobtrusive and thin, EPITHELIUMTACT 02 Toe Caps were specifically developed to perfectly fit in all shoes. 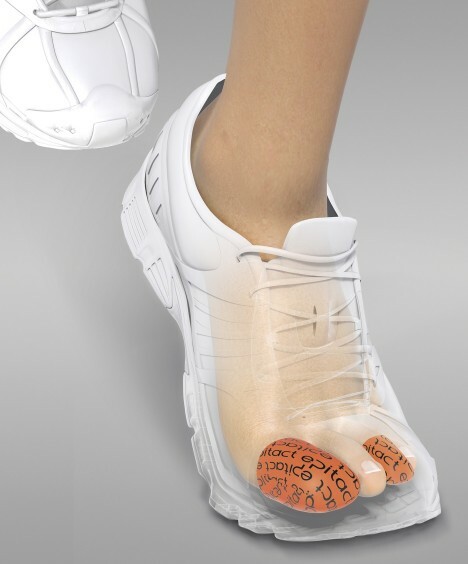 Their specific shape, aligned with the toe, provides immediate comfort and ensures a perfect hold during any sporting activity, even under extreme conditions. 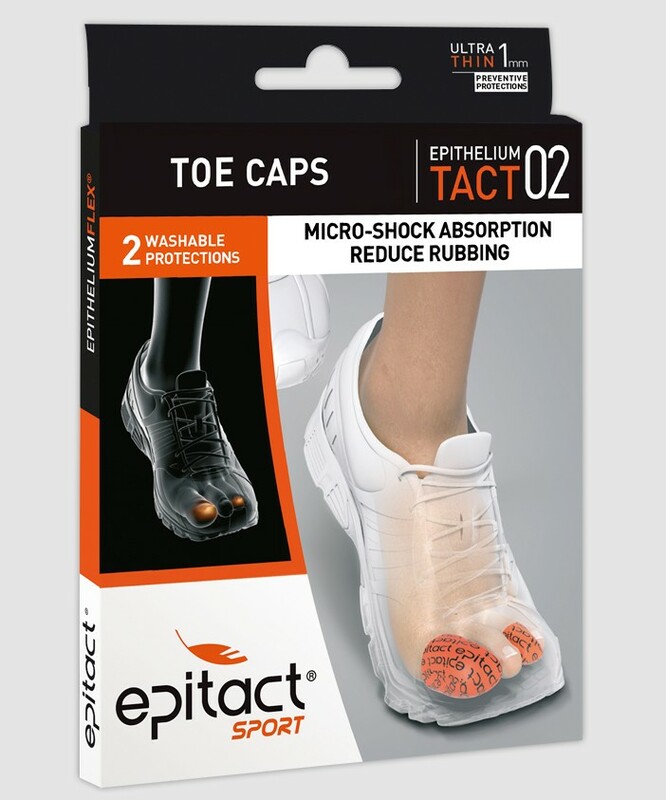 PRESENTATION: EPITACT® SPORT Toe Caps are sold in packs of two. These protectors should be used preventively. They are also suitable for use once a bruised nail has formed. The protectors must be used on clean, dry skin. For easy application, position the protector inside-out on the end of the toe, then gradually unroll it. Do not shorten the protector since this weakens it. Remove the protector at night to avoid any risk of maceration. Place the protector in the foil sachet provided until next use. The protectors can be washed with soap and water. Do not rub and leave to dry naturally. 82 % silicone, 18 % polyamide/elastane fabric . Do not use on an unprotected wound. Individuals with arterial disease, diabetes, polyneuritis, neuropathy of the lower limbs or varicose ulcers: never use the product over an open wound or diabetic foot ulcer. 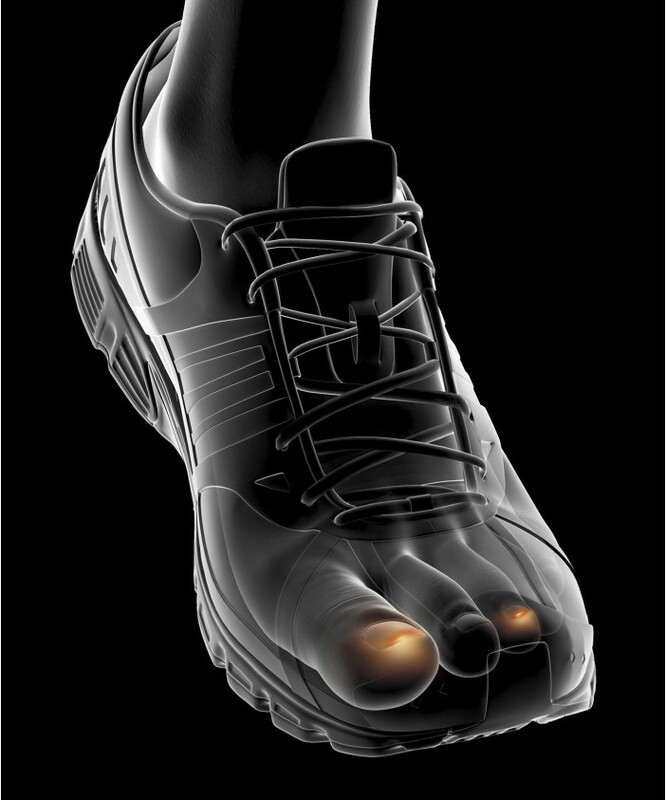 Monitor the foot during use and ask your doctor or podiatrist for advice. The product has undergone all the regulatory tests required by ISO standard 10993-1 relative to products that come into contact with the skin. However, if any skin reactions are observed, stop using the product immediately and contact MILLET Innovation. MILLET Innovation cannot be held liable in cases where the manufacturer’s recommendations have not been followed during use. How do I choose my size ? 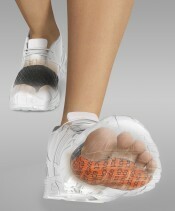 Toe protectors come in various sizes for both men and women. See the table below.